Maintenance Agreements | Sun-Ray Mechanical, Inc.
“Being a manager of facilities is not an easy job. Especially when you are a company which has a small staff. Being a 24 hour operation and having a large volume of refrigeration, AC and heating needs, it is vital to work with firms which you can trust. SUN-RAY is a company that falls into this category. SUN-RAY has been available, responsive and cooperative whenever we have needs. We cannot always be there, but SUN-RAY can, and has assisted us in keeping our facilities in full operation. Which is what we want and need on a daily basis”. We are your Convenience Store and Restaurant Specialists! We know how crucial it is for your equipment to be operating properly 24/7. Loss of product due to faulty refrigeration can be very costly. 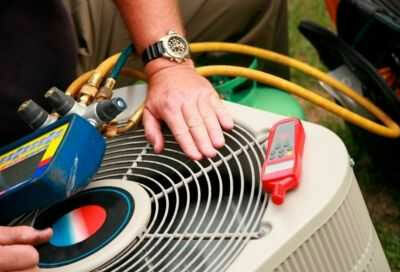 We recommend our maintenance program to ensure that your equipment to be performing at its peak. With proper cleaning and maintenance, breakdowns are less likely to occur. SUN-RAY will customize an agreement to meet your specific needs - choose a monthly or annual agreement, the equipment you would like covered and your own payment plan. We are here to help you. Let us worry about your equipment, so you can focus on what’s important - running your business. ©2019 Sun-Ray Mechanical, Inc. All Rights Reserved.